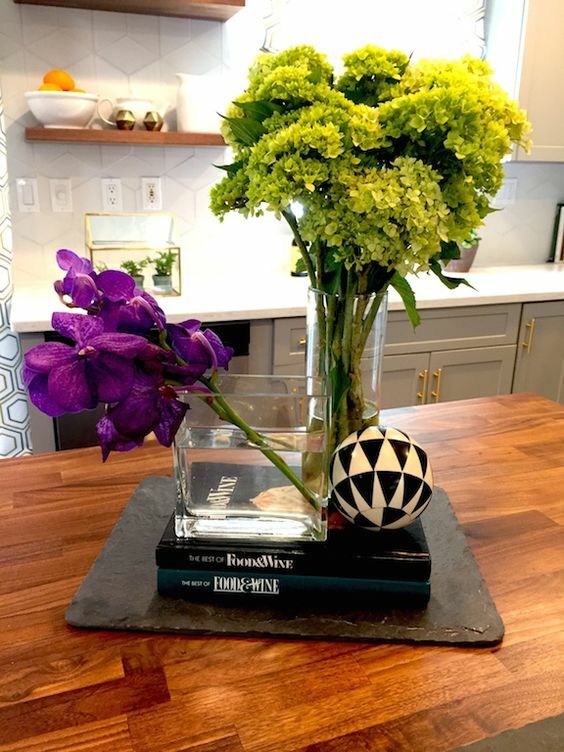 About a year ago, we were approached by a production company that works with HGTV to provide a wood countertop for an episode of Property Brothers: Buying & Selling that was filming here in Westchester. Our episode aired earlier this week, so we can finally share the awesome photos with you! 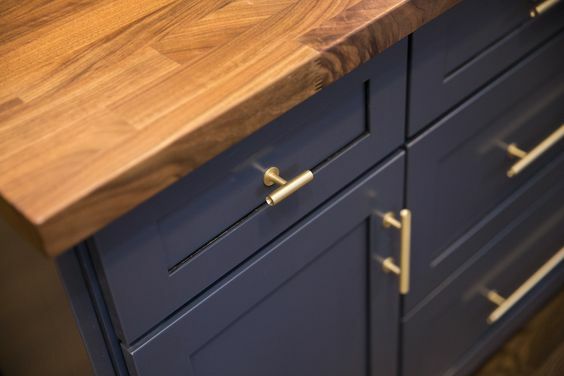 This awesome photo, taken from the Season 5 episode "Eat, Move, Love", depicts the reveal of the homeowners' new walnut eco-pro wood countertop for their island. As you can see here, the homeowner's were super excited about the warm wood top and how it compliments their new modern kitchen. Eco-Pro wood countertops are typically sold directly through kitchen and bath dealers, but was ideal for this project for a few reasons. First, the production was working on a tight schedule, and needed us to provide the countertop in about two weeks. Since the eco-pro tops are available in pre made blanks, it takes much less time to turn them around. Another reason that the Eco-Pro was the best option for this project is the charm it infuses. 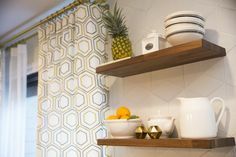 In this episode, the home's small kitchen was expanded by taking down a wall, thereby opening up the layout of the home. The repurposed walnut wood staves that make up the Eco-Pro tops adds warmth to this bright and open kitchen. This charm comes from the random and varied wood pieces throughout the top. Each top portrays unique grain patterns and wood placement. Eco-Pro tops may also show some slight cracking, checking, and imperfections, which add to the rustic charm of the wood. The island is sealed with our signature Marine Finish, a permanent water-proof finish. With this, the island will stay protected and will not require any maintenance aside from daily cleaning. To complement the island, we also fabricated two matching floating shelves. These shelves help to tie in the warm elements of the wood with the modern white tiles and bright elements throughout the home. 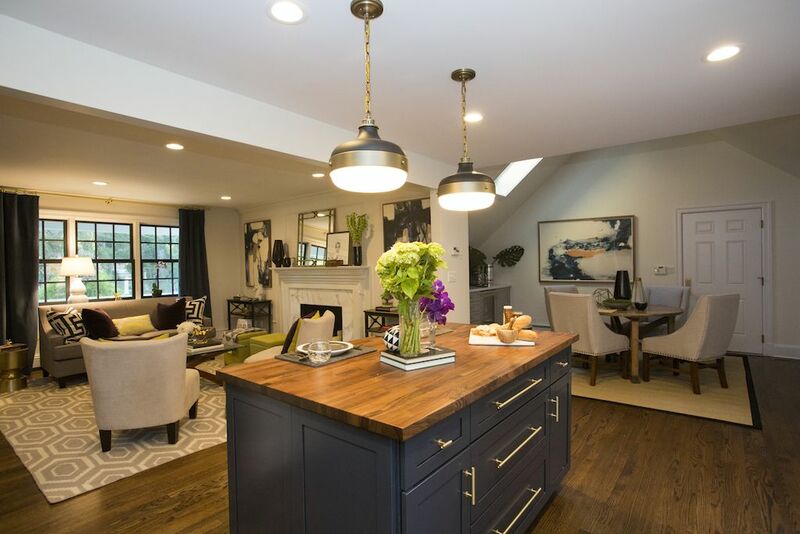 We were honored to be chosen for this renovation; it was a pleasure to work with the crew at both HGTV and the Property Brothers! For more information on our wood countertops, email quotes@brookscustom.com. For Eco-Pro countertops, contact your local kitchen and bath dealer to get pricing and samples.